Launch of new Recovery Focussed Supported Accommodation in Durham. 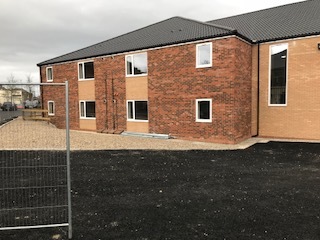 Potens are delighted to announce that our team in the North East are working in partnership with Durham County Council commissioners to set up a new Recovery Focused Supported Accommodation Cecil Court Langley Moor, Durham for 18 adults with mental health needs. The service, which will provide 24 hour support within accommodation-based Supported Housing for up to 18 adults with mental health conditions in single occupancy accommodation, will have an emphasis on recovery and re-ablement. The service will be available for people who are ordinarily resident in County Durham, and who are eligible to receive Social Care services from Durham County Council. Set to launch June 2018 Potens are in the process of running a recruitment drive to recruit staff to join our experienced team members in Durham ahead of the launch of Cecil Court.